Two excellent arrangements for solo guitar from one of the film world's greatest composers. These beautiful compositions are almost certain to be sure-fire winners for both audiences and players alike. Ideal for concerts, restaurant work, students, etc. 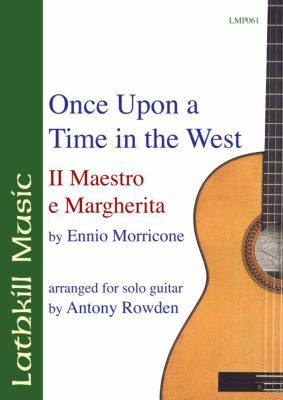 Watch/listen to a performance by Tony Rowden of Once Upon a Time in the West and Il Maestro e Margherita.